Lisa Condit spoke with Graham Russell of Australian music group Air Supply, coming to The Hanover Theatre for the Performing Arts on Friday, March 9. Read on for highlights from the interview, or listen to the full interview below. Lisa: You and Russell Hitchcock have had quite the run, haven’t you? Graham: We have. We’re in our 43rd year now. We’ve had a lot of luck, but we love what we do and I think that goes a long way. We’re very passionate about our live show and how we present it. Lisa: The two of you met back in 1975 on the first day of rehearsals for “Jesus Christ Superstar,” which is ironic because ten years ago, during our first season, The Hanover Theatre had “Jesus Christ Superstar.” How did you go from there to being one of the best-loved ballad, rock-pop bands? Graham: Well, we were the only two guys who didn’t know anybody. As we sat in the chorus during the first song, I was just in awe of the sound from this guy next to me. I heard his voice and thought it sounded incredible, pristine, clear and pure. During the lunch break, I introduced myself and I found out that we had the same name, we were born three days apart and we both loved the Beatles and saw them when we were 14 years old. So we had a lot in common very quickly. I knew at that moment that we were going to work together. I’ve always considered myself more of a songwriter. I’m a songwriter that sings, so I was looking for that voice, and I found it. It was pre-destined. There’s no doubt about that. Lisa: You were the first western group to tour China and Taiwan and other countries that wouldn’t allow other pop musicians to play there before. What was that like? Graham: We had to go through a lot of red tape and a lot of hoops. We were asked to come by the Chinese government. We had to sit in front of a committee of generals who had all the lyrics, and they were very careful about letting anyone in. It was incredible. We played a big 20,000 seat arena in Beijing. They knew that Russell and I go into the audience for one of our songs, and they said we couldn’t do that. They had military guards in the auditorium, because that’s just what they’re used to. When that song came up, Russell and I looked at each other and decided to go into the crowd. The soldiers all freaked out, and we just created a feeling, a bond with this country that didn’t speak English. 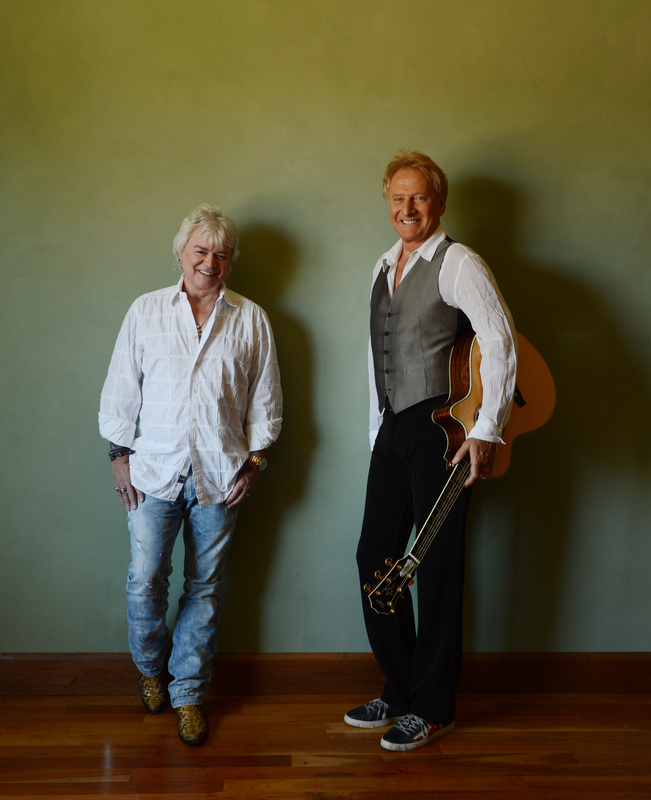 WHAT IS YOUR FAVORITE AIR SUPPLY SONG?